WHAT IS THE BUILD TO RENT FORUM LONDON? … Where do we go from here ? This year’s theme ‘The Diversification of Build To Rent’ is driven by the fact that there is a lot of BTR product coming on to the market, that BTR is well on its way to being established but that it is still in this infancy, still developing and for the large part unproven. So, there is a lot to discuss ! How can UK BTR compete for a bigger slice of investment from overseas ? What is happening across the UK? What can we learn from buildings that are operating ? What models are working ? What is the latest thinking ? Is there a case for rent regulation ? What bandwidth can BTR deliver ? What rental products can emerge ? What barriers and challenges remain ? This year’s conference will be less London centric, drawing on experience from across the UK. We will bring together leaders from Public & Private sectors, Key Policy Makers, Investors, Operators, Advisors and Specialists in a series of keynotes, presentations, case studies, debates and panel sessions. In addition, we will have a series of ‘Expert Sessions’ which will drive down into detail on topics such as ‘Design’, ‘Mobilisation’ and ‘Enabling BTR’. Join us at the 5th Build to Rent Forum London to get the inside track on this rapidly emerging sector and to network with the key players in the industry. Karen is a leading member of Winckworth Sherwood’s multi-disciplinary Private Rented Sector group. She heads the Firm’s highly regarded specialist planning team, advising clients on the full spectrum of planning and environmental issues they face, including devising strategies for obtaining planning permissions and other consents, viability, environmental impact assessment, s106 agreements and CIL, compulsory purchase and highways matters. She has particular expertise in relation to mixed use developments, tall buildings, urban extensions, waterside schemes and the optimisation of consents to increase financial value for clients. She works for leading developers, private rented sector operator and management companies, national housebuilders, registered providers, local authorities and funders. 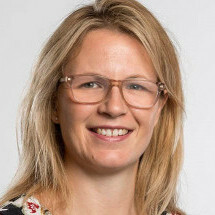 The majority of her projects are in London – she is currently working on several tall building projects, advising on the redevelopment of Battersea Power Station and other major schemes in the Vauxhall opportunity area and securing office to residential conversions under permitted development rights. She and her team also work across the country – they have recently obtained permission for the £5.5 billion Liverpool Waters scheme and are advising on new settlements in Cambridgeshire, Devon and Kent. 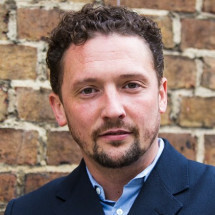 Russell is Director and Co-Founder of Assael Architecture. With over 30 years as an architect and 15 years in urban design, he has a strong passion for creating a sense of place with historical and cultural connections in all of his work. Russell spent many years spearheading Assael’s skills in the design of professionally-managed Build to Rent communities in the private rented sector. Following years of research, including many study trips to the US, and producing design guides for the UK, Assael is now one of the leading architects in the sector, paving the way with key projects such as Union Wharf in Greenwich for Essential Living, Blackhorse Mills in Walthamstow for Legal & General, and Pontoon Dock in Newham for Linkcity. Russell also co-authored both editions of the Urban Land Institute’s Build to Rent: A Best Practice Guide, which was sponsored by the British Government, and he is now Chair of the ULI’s UK Residential Council and advises on MHCLG’s Build to Rent Joint Committee. 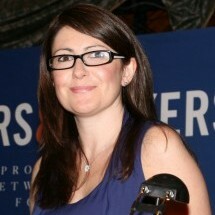 Leigh Natasha Salter is Managing Director of Movers & Shakers, having formerly been the Business and Events Director. Leigh has been responsible for developing the brand over the last 10 years and has recently launched the Movers & Shakers UK Regional events programme. Previously she worked in marketing, communications and research, and also ran the Windsor & Maidenhead Borough’s Business to Community Partnership, facilitating CSR for businesses. She qualified at Oxford University with a BA Honours in Human Sciences, and a scholarship, and is also a member of the BPF and UK-GBC. David started his career in Construction and Property and held senior directorships in a number of UK based businesses. In 1990 he jointly founded and was a Joint Managing Director of the Salisbury Consulting Group; he sold his interest in 1995. In 1996 he formed Business Vantage, a business and research consultancy which specialises in property and construction and advises major UK plc’s. During his career David has founded a number of businesses in Property Management, Serviced Offices and Consulting. 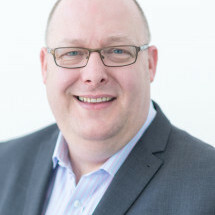 David is the Founder Director and Chairman of Movers & Shakers formed in 1996, the UK’s most successful and popular networking forum, which delivers a programme of forums and conferences across the UK. Stephanie brings two decades of experience in real estate and property management, operations and training. 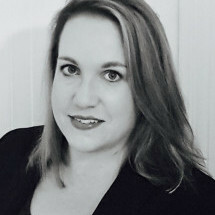 Prior to Atlas, she relocated to the United Kingdom in 2013 with a focus on residential and mixed use clients at Yardi Systems, Ltd. Stephanie has also worked with U.S. establishments, such as Alliance Residential, Greystar, CompassRock RE, and Laramar Group, acting on behalf of high profile investment clients. She has held various offices from National IT and Training Manager, Senior Property Director, Regional Manager, and Area Coordinator for OSHA (Occupational Safety) Compliance, where she lead teams in operations, acquisitions and due diligence. She is also a member of the UKAA Training Committee. Khush the Head of Operations & On-Boarding for Grainger. She joined Grainger in June 2015 managing Grainger’s first residential Development designed specifically for Renters. 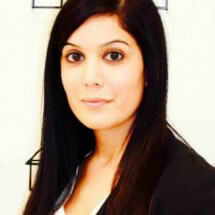 Khush now heads up the stabilisation of all of Grainger’s new Build to Rent assets current and upcoming nationwide. Khush’s involvement continues, ensuring operations on site are maintained to a high quality. Khush works very closely with both the Development and Asset Management team to ensure buildings are designed with the customer in mind and ensuring the Asset is able to perform to its full ability in lines with set KPIs. Khush manages and leads the team on the ground on a day to day basis, defining the standards for the move in experience, training, defects management, concierge/front desk services and all the elements required to take a building and make it a home for Grainger Residents and make it a viable asset for Grainger. 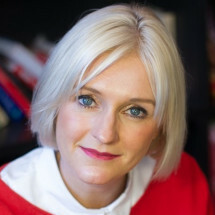 Audra Lamoon is all about bringing people, property and service together to create exceptional experiences and is Managing Director of Livewire Performance Consultants Ltd; A specialist Consultant, Corporate Trainer, Coach and Speaker, in the areas of hospitality, culture and leadership in the retail, hotel, transport, residential, property, media, office, leisure and construction sectors. Formerly the Deputy Chairwoman on The Retail Trust Committee, she is particularly focused on speaking, crafting and delivery of high level customer experience, ‘space as a service’, experiential mystery shopping and hospitality for her diverse set of global clients. Based in the UK and Atlanta, Audra gains commissions by capturing the clients unique DNA, and designs tailored training content for her clients. Her skills are put to excellent use when turning around distressed properties/shopping malls or launching new retail/hotel projects. Audra was the founder of two successful businesses prior to Livewire and is a published author. In 2006 Audra co-founded the very successful and globally featured, RLI MIX, property-networking events in the city of London and Cannes (MIPIM). Jennie helped to launch Quintain’s first residential lettings business, before heading up leasing when Quintain moved into the BtR market in 2016 with the launch of Tipi. As Head of Leasing, Jennie has gained experience working across all aspects of the business but her current focus is on new business channels, partnerships and helping bring new developments to life. Having always strived to improve the rental experience, Jennie is passionate about the core of the Tipi offering: providing residents with their ideal home with effortless, quality living and exceptional customer service. Ami is a Co-Founder of Amro Real Estate Partners and Managing Director of AmroLiving, a Build-to-Rent (BtR) platform. She is responsible for the roll out of a London-focussed portfolio of purpose-built BtR schemes with an initial focus of delivering 1,500 homes across 5 schemes situated in Greater London. Ami is passionate about delivering a best-in-class end-user experience for our customers and our employees. As Amro’s Head of Innovation she combines her experience in property development and operations with her insights into the disruptive potential of technology to deliver a uniquely customer-focussed product and service. Ami is an Economics graduate, with a BSc. from the London School of Economics and a post graduate, M. Phil. degree from the University of Cambridge. She also holds a post graduate RICS Diploma in Property Investment. 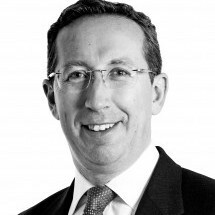 Andrew is Investment Director at Grainger plc. Since joining Grainger in 2001 he has been instrumental in facilitating a number of large acquisitions of both assets and corporate entities. In line with the group’s strategy to invest £850m into the Build to Rent sector, Andrew’s focus is now on managing the investment team, who are responsible for sourcing and acquiring these assets. Andrew also has overall responsibility for the sales and asset management divisions. 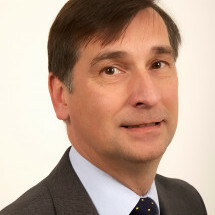 Andrew is a member of Grainger Executive Committee and is the groups representative on the BPF Residential Committee. Prior to joining Grainger Andrew worked at Allsop LLP where he qualified as a Chartered Surveyor. James Penfold is Planning/Zoning Director at The Collective and oversees the planning strategy for the business and across it’s portfolio. James’ role involves working in partnership with local communities and the public sector to deliver innovative and community focused places. 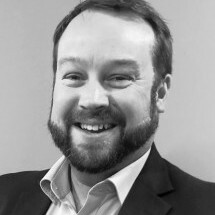 James is a specialist in the co living sector having advised Welive, Realstar and The Student Hotel before he joined The Collective. 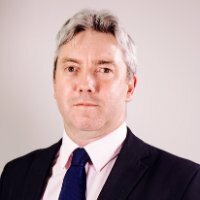 Angus Dodd was appointed Chief Executive of Quintain in June 2016. Quintain is the London developer behind the transformation of Wembley Park in north west London. Quintain have completed more than 2 million sq ft of mixed use development at Wembley Park and currently have 3,000 homes under construction on this site and outline consent for the delivery of a further 3,000. 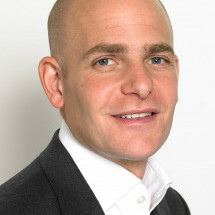 Prior to Quintain, he was Senior Managing Director, Co-Head European Real Estate Investments, Lone Star Europe Acquisitions LLP, an affiliate of the General Partner of Lone Star Funds. Lone Star acquired Quintain in September 2015. Mr. Dodd joined Lone Star in March 2009. Prior to joining Lone Star, Mr. Dodd served as Managing Director at JER Partners for 5 years. He previously worked at Parkes & Company and Invesco Real Estate (which acquired Parkes & Company in 2001), BZW and Jones Lang Wootton. Mr. Dodd has an MA in Land Economy from Queens’ College, Cambridge. 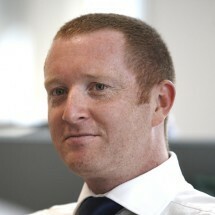 Ben Denton is Managing Director of L&G Affordable Homes. L&G Affordable Homes’ set up in 2018 with an ambitious business plan to develop 3,000 affordable homes pa by 2022 alongside building a best in class customer services experience. L&G are investing patient, long-term capital in order to grow the capacity of the affordable housing sector and in so doing, deliver societally important outcomes. L&G Affordable Homes sits alongside L&G’s other housing businesses including BTR, Modular, Cala and Inspired Villages Group. Prior to L&G, Ben held a number of positions in the public and private sectors, delivering residential led development and regeneration. 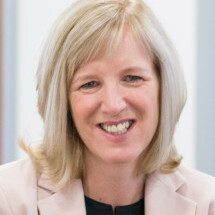 Catherine Webster joined Quintain in 2016 as Strategic Finance and Investment Director, assuming a lead role in not only financing the business but also existing and new investment initiatives. Prior to Quintain, she was a Director at Hudson Advisors where she managed both the financing of and strategic/portfolio sales for Lone Star’s pan-European portfolio. 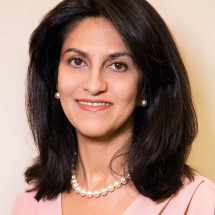 She has over 20 years of real estate and finance experience and has held several senior roles at TIAA, launching its European lending business and overseeing financing of TIAA’s existing European portfolio, LAMCO LLC, asset managing and restructuring its largest European CRE assets, and at Lehman Brothers Global Real Estate where she originated over $5 billion of senior/ mezzanine debt and equity on a pan-European basis. Miss Webster graduated from Reading University and has an MBA from INSEAD. Charlotte is a successful entrepreneur, prominent industry speaker and Non-Exec Director, with over 20 years’ experience in the property industry. Conductor are orchestrators of thriving societies, transforming the traditional model of developing and building residential developments solely for financial return, to one that starts the process with human led insights and generates development strategies that create longer term social and commercial returns. Conductor has global experience in the rental market, working on student, BTR, co-living and co-working projects across the US and Europe. 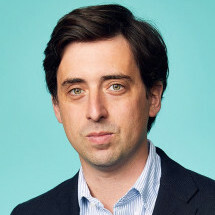 Dan Batterton is Fund Manager for the Build to Rent Fund at LGIM Real Assets where he is responsible for the design and execution of strategy and vision. Dan has 20 years’ experience in the property sector and his exceptional understanding of portfolio strategy have been utilised to design L&G’s long-term acquisition and operational strategy for the sector. Having launched the strategy at the start of 2016 the Fund has so far committed to over 2,000 new apartments in 7 cities and aims to have secured 6,000 by the end of 2019. He runs a specialist team including acquisitions, development, design, construction and operational expertise. The award winning first development, The Slate Yard, Salford, opened in the summer of 2017, with further schemes due to open through 2018 and 2019. 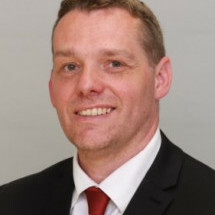 Gareth is a chartered surveyor with over 25 years’ experience specialising in development and development finance. 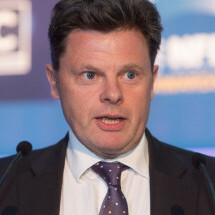 He is responsible for delivering Homes England’s commercial investment programmes, including the Home Building Fund and Estate Regeneration Programme. He has led Homes England’s involvement on a number of high profile complex real estate projects including development finance at East Village, Greenwich Peninsula, Wood Wharf and Earls Court Village. He has expertise in delivering funding structures including senior debt, mezzanine finance and club deals with other private sector lenders. He has been involved in PRS schemes across the country, including Liverpool, Manchester, London and Birmingham. He is the Director of English Cities Fund, a joint venture between HCA, Legal & General and Muse specialising in regeneration projects. 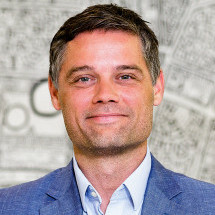 Gareth has worked for English Partnerships and the London Development Agency, and was involved in major development projects, including the Olympics, Wembley regeneration and the Royal Docks. Graham has many years’ experience in infrastructure and housing sectors, leading stakeholder engagement for commercial organisations and industry bodies. He leads NHBC’s engagement with the affordable housing and private rental sectors, establishing a partnership approach to managing the risks of new home development, working with investors, developers, landlords and contractors. Graham also leads NHBC’s engagement with partners in the funding and mortgage lending, working to build confidence in homes built using offsite manufacturing. Ian has 40 years’ management experience in property and hospitality, from 5* boutique hotel, property management company, European division of a global serviced apartment company and now as Operations Director for Essential Living operating four build to rent properties in the south. His unique skill set assists in the delivery of exceptional customer service within the Essential Living portfolio and fulfills Essential Living’s commitment to raising product standards and the customers experience in the Private rental sector. 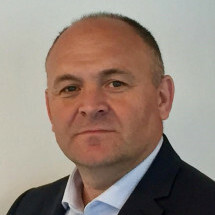 Martin Betts heads the sales operations for Yardi Systems across the UK and Ireland. 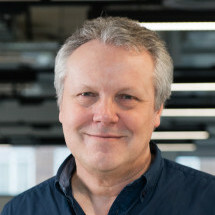 Betts joined Yardi from Qube Global Software having spent 11 years with the company. Previously Betts had spells with both MRI Software, Fraser Williams and ITT. His wealth of experience in the real estate market and how technology can benefit the sector spans more than 19 years. 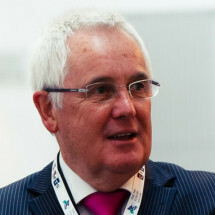 Michael launched urbanbubble in March 2008 after suffering himself at the hands of a poor Managing Agent at his Manchester City Centre apartment block. urbanbubble was created by taking the best practices from Project Management, Customer Services and Financial Control areas and a residential block management service was designed with the customer at the heart of everything done in the business. urbanbubble now cares for over 5,000 apartments across 80 residential developments, mainly from established blocks wanting to choose a better service. Multi-award winning since 2012, urbanbubble now employs 50 colleagues all dedicated to block management and growth levels show no sign of slowing as regional developers such as MUSE, UK Land and Developments and McCauls use urbanbubble from the off with their residential schemes. urbanbubble are gearing up for PRS in the background with an expectation of over 1000 units under full management by end of 2016. Simon has over 20 years’ experience in the field of residential investment and development, and was actively involved in the development of the student investment market in an advisory capacity, and led in a number of innovative funding structures working with both Housing Associations and Universities in making institutionally acceptable investment assets in the residential sector. Simon is now overseeing the residential investment team and will be focused on matching investor appetite for residential investment, whether off plan bespoke developments or existing portfolios of income producing or reversionary assets. Adam co-ordinates the JLL pan-European Living business and manages the day to day operations of the JLL Living research team. The team provides UK market briefing papers and thought leadership that supports the wider residential advisory and agency businesses. It engages directly with Government to provide policy advice and with clients to provide transactional support and strategic consultancy advice. Adam’s experience spans 15 years of advisory with both public and private sector clients on residential development and investment opportunities. He acts as company spokesperson for a wide range of housing market-related issues and is regularly cited in national and international media, alongside a wide range of industry speaking engagements. Adam joined JLL as Head of UK Residential Research in January 2013 and has held similar roles at other property advisors in London and Toronto, Canada. 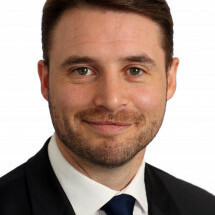 Education and Affiliations Adam holds an MSc Urban Regeneration from the Bartlett, University College London, a BA Economics from Western University (London, Canada) and is currently an EMBA candidate at London Business School. He is a member of the Society of Property Researchers and the Urban Land Institute. Adam is a trustee of World Habitat and a supporter of both Shelterbox, a disaster charity, and JLL’s homelessness charity partner, Crisis. As Senior Development Director at Greystar, Michela leads the development business in the UK. 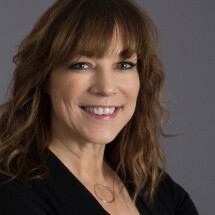 She focuses on overseeing execution of current projects including financing, amenity and unit planning, design, entitlements, construction and lease up efforts on multifamily and student developments. In addition, Michela is helping to secure a pipeline of 10,000 units in the next 3-4 years. 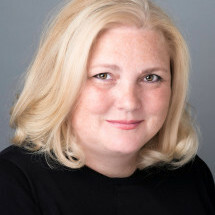 She is currently Vice Chairman of the Urban Land Institute’s UK Residential Council, a member of the British Property Federation (BPF) Build to Rent Committee and a board member, treasurer and chair of the events and marketing committee of the United Kingdom Apartment Association (UKAA). As Corporate Director Economy, Birmingham City Council, Waheed has worked for the authority in various roles for 20 years. 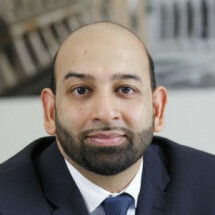 Waheed provides strategic leadership and direction across a wide portfolio, including the Council’s property portfolio, planning, regeneration, housing development, transportation and connectivity, highways and infrastructure, skills and employment, business development and inward investment. Waheed led the major transformation of the city centre through the Big City Plan, bringing forward key projects including Birmingham Smithfield, Snowhill, Paradise and New Street redevelopment. He oversees £2.5bn public sector investment through the Enterprise Zone and HS2 Curzon masterplan. Alongside leading Birmingham Municipal Housing Trust, one of the city’s largest housebuilders, Waheed led the Council to set up a series of commercial vehicles including InReach, the Council’s vehicle for building new homes across the city, and the development of an investment vehicle for commercial property to help deliver growth. 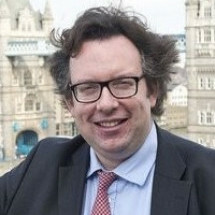 Richard Blakeway is a former adviser to the Prime Minister and Deputy Mayor of London for Housing, Land and Property. During his eight years at the Greater London Authority, Richard was responsible for a £3bn investment programme, building a record 100,000 affordable homes and regeneration of 630 hectares owned by the authority, one of the largest public sector land portfolios in the UK. This included major redevelopment at London’s Royal Docks, Greenwich Peninsula and Barking Riverside and the creation of thirty Housing Zones across the capital. Richard was chair of the Homes for London Board, member of the London Enterprise Panel and Crossrail 2 Growth Commission. 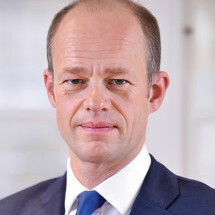 Following City Hall, Richard was appointed an adviser to the Prime Minister and was instrumental in developing plans for the HM Government’s then commitment to build 1 million homes. He is now a strategic adviser to developer EcoWorld London, to Jones Lang LaSalle and to think tank Policy Exchange. 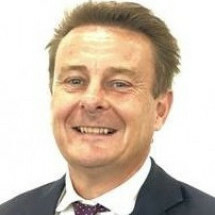 Richard is chair of the London Borough of Bexley’s property company, BexleyCo Ltd, and a board director of the HMG’s regeneration agency, Homes England. Ms Davison has 21 years’ experience in real estate finance and investment. 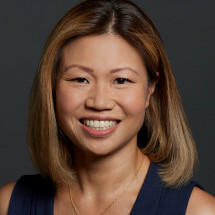 She started her career with Deutsche Bank’s real estate direct investment team in New York, and has since worked on a wide range of property and corporate transactions in the UK, continental Europe, US and Latin American markets. 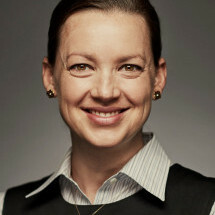 Ms Davison joined Delancey in September 2005 and is currently Director of Banking and Treasury. She is responsible for all financing and treasury functions for Delancey clients, and oversees the group’s banking relationships. Ms Davison graduated from Georgetown University with a BSBA in Accounting and Finance. 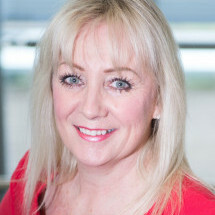 Helen Peace is joint-founder and managing director of LIV Group, one of the UK’s leading BTR operators. Helen is a highly experienced senior executive with a background in developing strong operational businesses. At LIV, Helen is responsible for the strategy and direction of the build to rent operations platform delivering to a growing list of clients including major institutional investors, often on a white-label basis. Adam graduated Portsmouth University with an Honours degree in Design Engineering. He has since worked in logistics, trained as a teacher and spent time in the automotive sector before turning his hand to property leasing and management. Throughout his career, Adam has managed residential let portfolios on behalf of sole investors, which led him to work for Your Move Residential Lettings before joining Atlas Residential UK in early 2017 as Community Director of their flagship BTR community, Bow Square. He has led his team through the phased construction and delivery of Bow Square, Southampton’s first BTR property. Bow Square at the heart of the city centre appeals to a broad spectrum of residents and is already becoming recognised as the best place to rent for service, professionalism and value for money in and around Southampton.